“Genova Symphony of the City” (GENOVA Sinfonia della Città) is an animated film by Emanuele Luzzati that can hardly leave you indifferent due to the passion and emotionality with which he displays his city. The film is a masterpiece, which speaks of Genova, of this turbulent and glorious city. 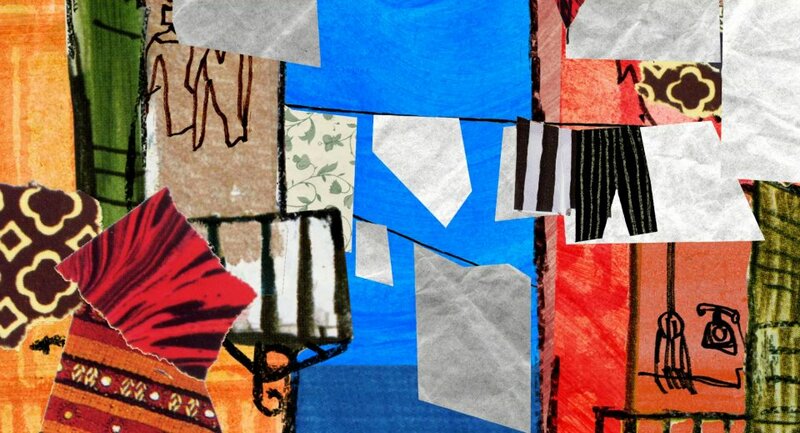 It is an emotional story book, experienced repeatedly, as in animation of compositional overlap of multiple drawings that move simultaneously and show the existence of all those cities that co-exist in the same space. In Genova, actually, the medieval, renaissance, baroque, neoclassical and modern city are built in. Genova is tucked between the Ligurian Sea and the surrounding Apennine Mountains, stretching along the sleeve created between these two natural boundaries. It moves from the suburb of Nerves in the East, to the Vezima area in the West with length of 42 km. Typical Mediterranean and linear city that constantly evolves throughout its history. This city with a typical colorful splendor, is constantly being experienced growing/maturing throughout the years. It is modern, broken down and thickened, full of scars from traffic connections that spontaneously hang or underground pass through it. These concrete infrastructures embedded in its overall appearance and splendor, are stirring the traverses and spread the view towards it. Adjusting it to the living in the present and distancing it away from its former glory. The city is a touristically most tempting in its narrow center, which abounds with the famous Genovese Republic history. Narrow streets, tall buildings (with 5-6 floors, which, for that time, is a miracle), moisture which erodes the facades, Renaissance and Baroque decor, the smell of the sea mixed with the Ligurian cuisine from the surrounding restaurants. Leisurely movement and a sense of tranquility is present everywhere, offering the tourists an opportunity to enjoy and to flock its streets. To have even greater feeling of the ambient, it is complemented by the Crêuza de mä melody of the famous songwriter De Andre, a song in old Ligurian language, which brings us in that setting. This central core experiences its culmination in the sea perimeter circumference where it turns to the open sea. The coastal promenade is a well known infrastructure through which the old city regenerates, designed by the renowned local and international architect Renzo Piano during the Expo in 1992, on the occasion of marking 100 years of the discovery of America. 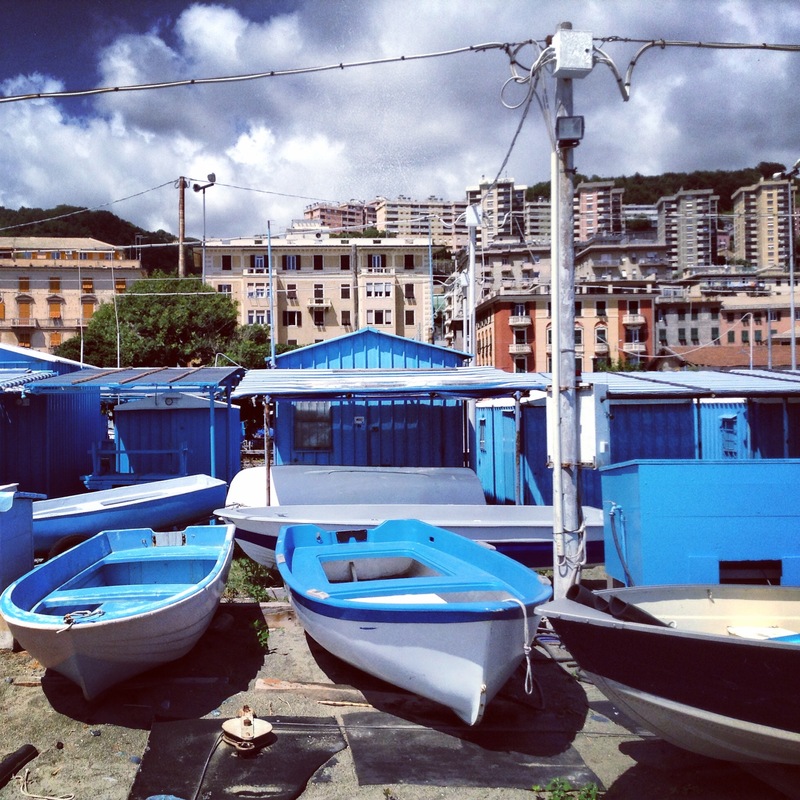 Genova is recognizable for its specific architectural shapes that characterize the harbor, with the parked yachts and traffic of cruisers that mix the horizon with the background of the city. The platform is enhanced with public rafts/alloys (outdoor premises) where you can enjoy the surrounding urban Mediterranean theater. 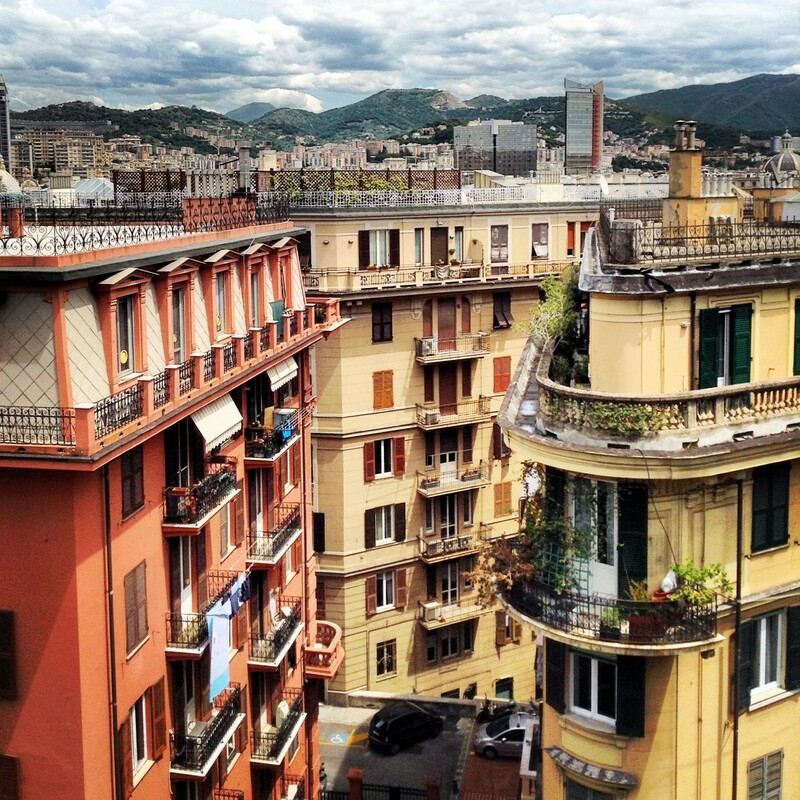 However, Genova is not only the supreme tourism. It is also a real town that faces contemporary issues. It is one of the major European ports, after Marseilles, with high exchange and transport of materials, heavy industry, tankers and large shipyards. Shipping containers are spread all over the edges of the sea and its suburbs, complementing the coastal urban landscape. There are parts of town that are partially degraded, playful with the chaos of African and Latin American immigrants, who add an additional cultural weight to it. In the 1960s, during the economic boom, the city was in a building expansion and was industrialized the most in this period. In this overall building conglomerate that gets out of control, some of the bolder architectural endeavors took place, which, from today’s point of view, represent a huge accomplishment. 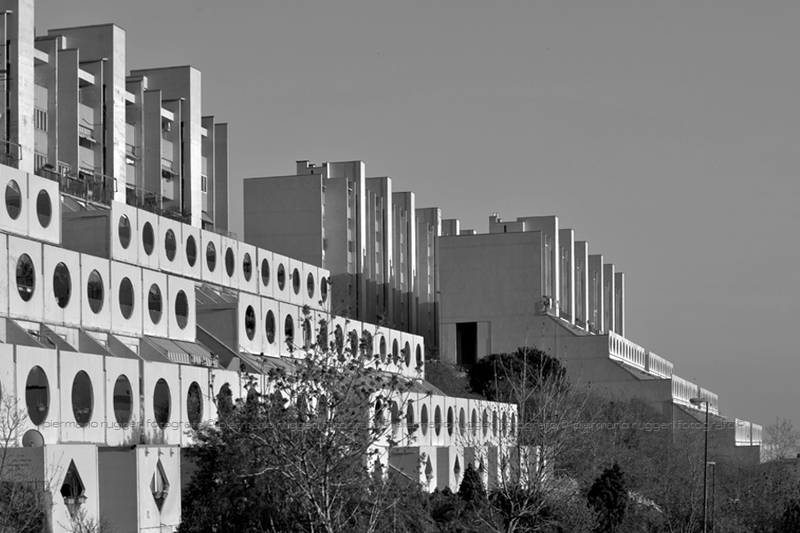 Significant is the work of the architect Luigi Carlo Daneri with the residential social complex Forte di Quezzi, which rises to the height of suburb of Marassi and protrudes with its massive structure. (This approach was then present only in Corbuzier’s theories through the example of the plan Opus for Alighieri). There is also the suburb of San Pietro (called a washer/washing place), which, although built bravely at the time, is today a synonym of urban degradation and impact on the environment and the significant nature thereof. After this period of accelerated development, the city abruptly lost a third of its inhabitants, whereas the territory remained a paradox. Approximately 10 percent of the existing buildings remained empty, and the overall area of the city is still condensed with buildings that extend to the top of the mountain heights. This demographic crisis coincides with the economic crisis that rules in the recent years across Europe. The population is increasingly aging, especially in Italy, where the average age is 43.5 years of age, and even 47.2 years of age in Genova. The trend shows that by 2050, the age limit of the city will reach 49.7 years. This statistical indication puts to the forefront the future of this famous city, which in these critical years will have to find a way for its existence. Thereof, many young groups work and debate on the direction in which they want their capital to grow. One of the most important directions is the manifesto of several influential architects representing the concept of Genova – 1%. This project aspires to make a turn in the property regime, which in these times of crisis is still moving by inertia. They proposed demolition of vacant and abandoned buildings that would revitalize the area and create larger gaps, which would solve the more existential problems of parking, green areas and larger/wider public space. 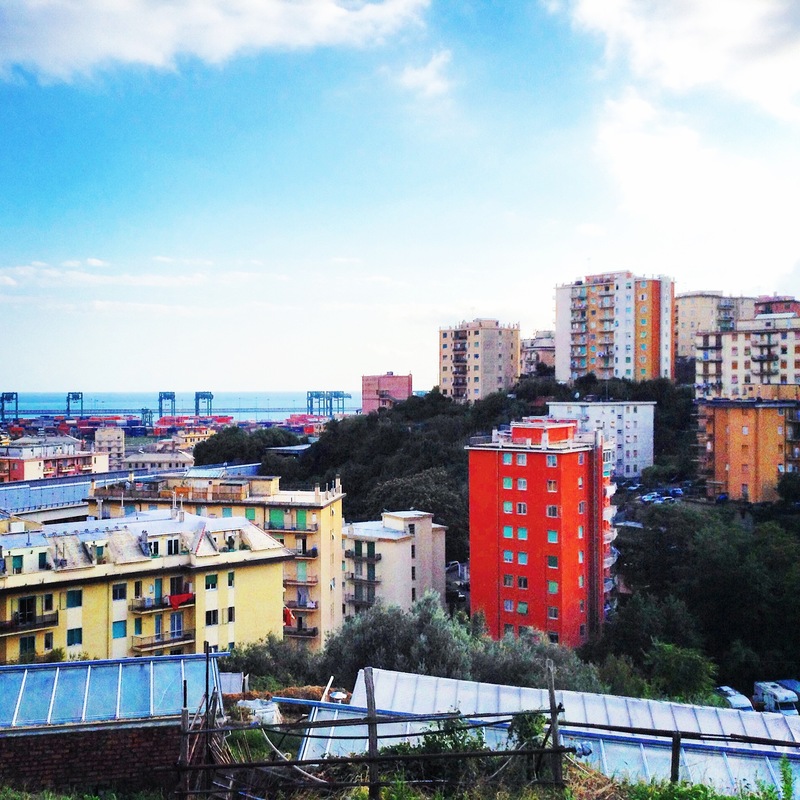 Parts of Genova develop spontaneously and unplanned, thanks to Latin-American immigration whose masses are toughly dealing with the crisis, and through their traditional lifestyle manage to become protagonists. 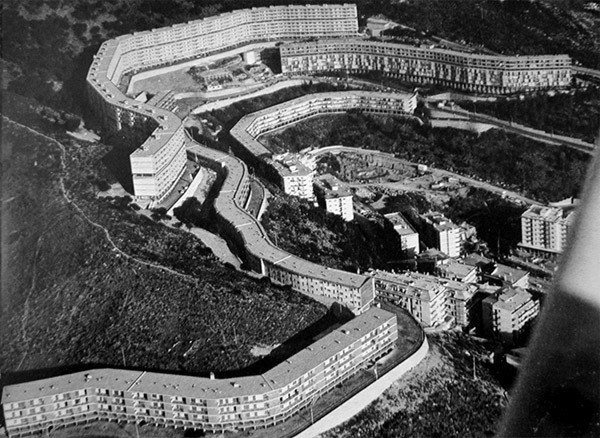 A typical example is the suburb/neighborhood of Sampierdarena, populated by them, where the overgrown urban tissue regenerates, the prices of construction square meter are reduced, the conditions of living of the entire district are adjusted, and children’s voices are present everywhere. Through their action the social friction increases and makes this suburb more promising. 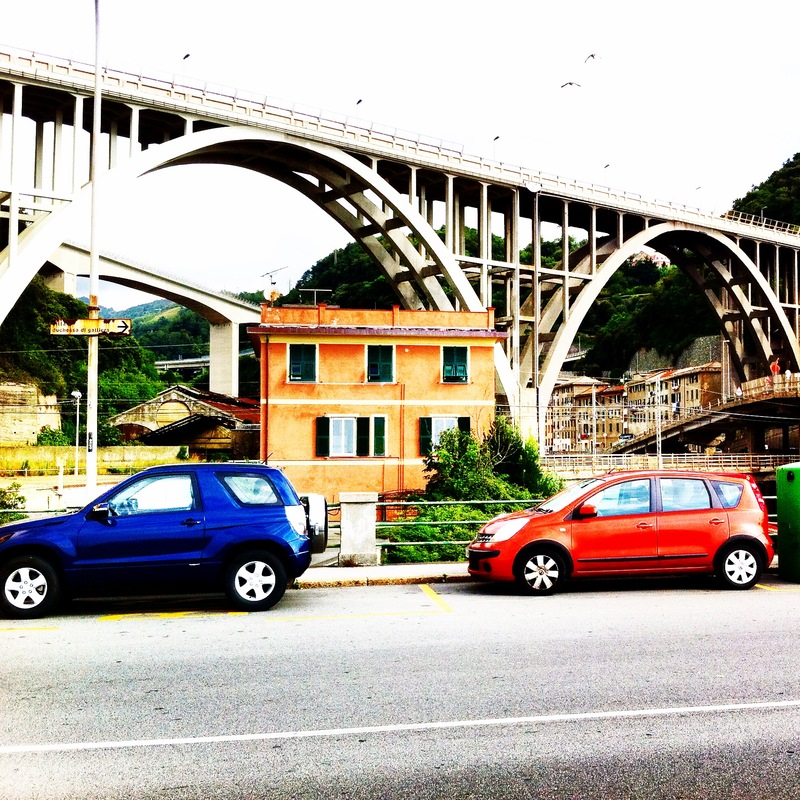 This friction certainly makes Genova more interesting, complements it and it becomes diverse, open and cosmopolitan. In Genova, the coming years will be crucial to maintaining its Mediterranean continuity, and perhaps this uncertainty will be of its benefit. At the exit from Genova in the west suburb of Voltri, where the urban concrete structures can still be overseen, there is a very interesting and improvised space. The beach here is still free to use. (This is generally not the case with the Italian sea good, which the state rents for lease). At part of the beach Erasmus, the locals organized spontaneously have created the blue camp. Scattered barracks/shacks, containers and various other improvisations focus on this part of the suburb. Characteristic of all these elements is that they are painted in blue, and along with the nearby boats of blue theme, make this landscape original and anomal. In summer it is very live, since these instant gathering places are used for protection from the summer heat and enjoy leisure time. This is perhaps one of the meekest ad-hoc phenomena, giving an impression of a well-conceived urban neighborhood landmark.